GOOD NEWS! You can expect lots of cartoons next month (30 to be exact) because we're participating in Vegan MoFo starting Monday, September 1. Our theme, *Vegan Faux Show*, will showcase various methods for creating vegan versions of classic foods like bacon, eggs, and cheese. Stay tuned! 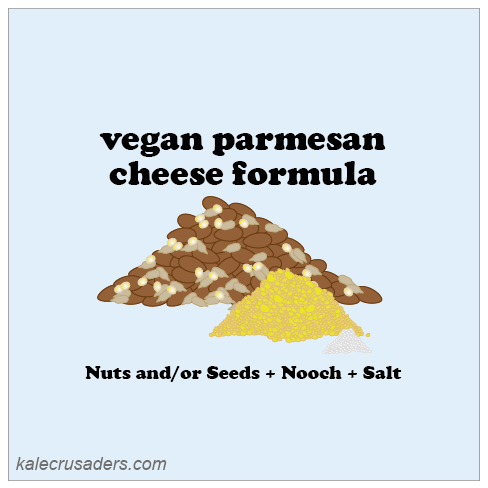 Initially we predicted that Vegan MoFo would fall out in August this year so we prepared 31 cartoons. We were wrong so today's cartoon was intended for our Day 31 post. 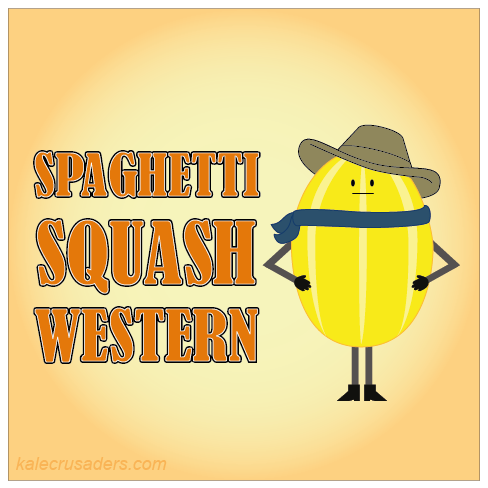 After riding into the sunset, what should a heroic cowboy eat for dinner? We recommend this Southwest Baked Spaghetti Squash recipe by Danielle at The Lean Clean Eating Machine. We are well into August and that means that many of us have a bounty of zucchini on our hands. 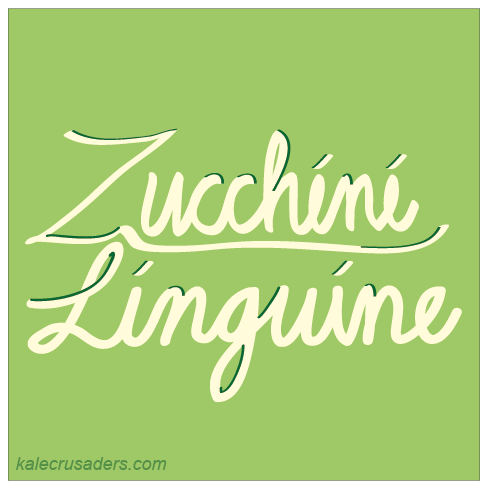 A popular solution to such a conundrum is zucchini pasta. While the texture and taste of zucchini pasta is quite different from traditional pasta, zucchini pasta is a fun alternative and way to eat more veggies. Check out Gina's Zucchini Pasta with Avocado Cream Sauce recipe at Running to the Kitchen if you would like to try out zucchini linguine in raw form. On the other hand, if you prefer your zucchini linguine heated up, check out Rhea's Zucchini Linguine Aglio-Olio recipe at The "V" Word. 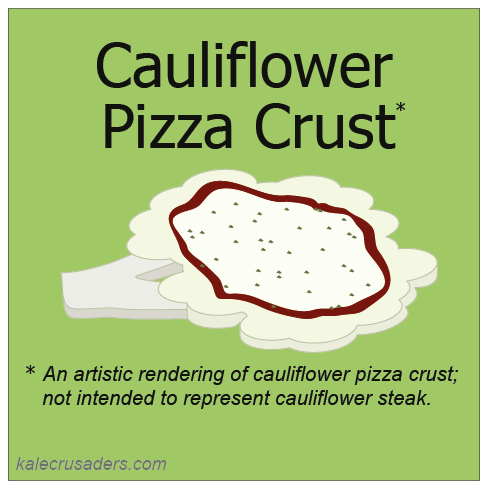 Cauliflower is back again with another clever form of reinvention. Lately, the Paleo, gluten-free, and carb-watching communities, as well as many adventurous cooks have been having fun with cauliflower pizza crust. Many of the earliest cauliflower pizza crust recipes relied on cheese and egg as binders. Fortunately some brave souls, like Kim and Hector at Our Fresh Kitchen, have cracked the vegan cauliflower pizza crust code with their Vegan Gluten Free Cauliflower Pizza Crust.